Another exciting collaboration between "Touken Ranbu -ONLINE-" and "Cardfight!! Vanguard"!! "Touken Ranbu -ONLINE-" makes a reappearance in Vanguard, with the Touken Ranbu -ONLINE- Title Trial Deck!! The world of Touken Ranbu is reproduced in Vanguard's game system! 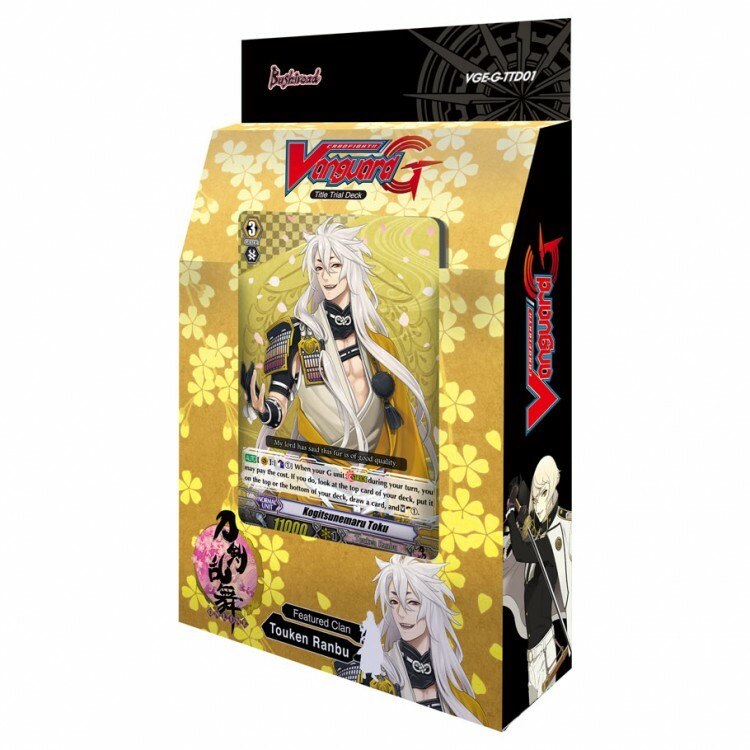 The trial deck includes 7 new trial deck exclusive cards that have simple yet powerful abilities!! Recommended for both new and existing players of the card game.